All-inclusive Swimming Camps with ideal weather conditions and prolonged sunshine throughout the year in high-end venues and swimming centers, combined with experiencing the all-time classical Greece. We are passionate about aquatics and swimming camps in particular that is why our services are of immense quality. Focusing on your teams’ level and training goals, we design the package that will meet your needs in the optimal way. Together, we will determine the percentage of training hours over your total hours and we will make sure that room is left for tours, relaxation and fun. 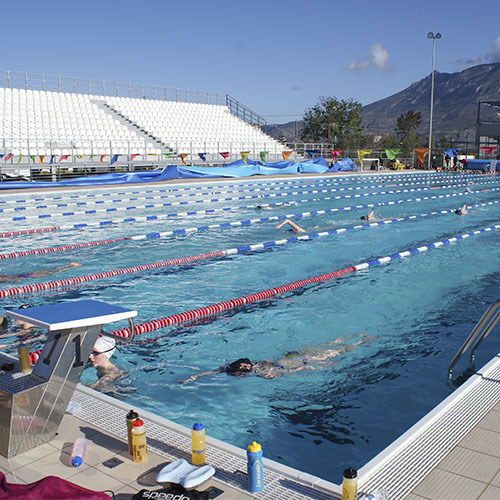 Special attention is given in the age group of the participants in terms of tours proposals and free-time options, so as to make sure that the group stays motivated and inspired throughout the swimming camp. Additional services arrangements and bookings including rehabilitation & recovery, coaching, ergo metrics tests and many more.